house numbers from 1-24 made from recycled waste that look like slate. House numbers made from recycled waste paper products such as coffee cups. 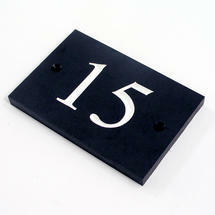 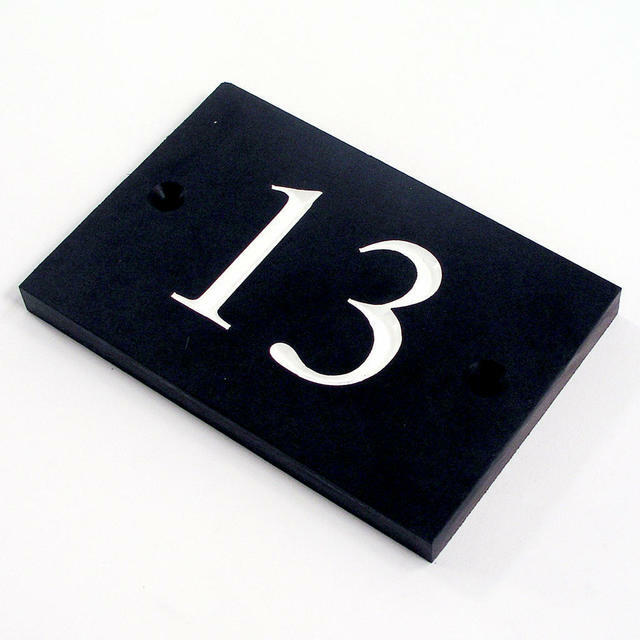 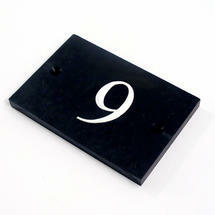 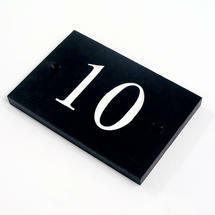 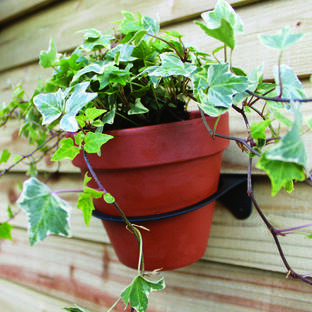 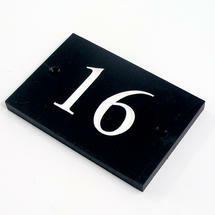 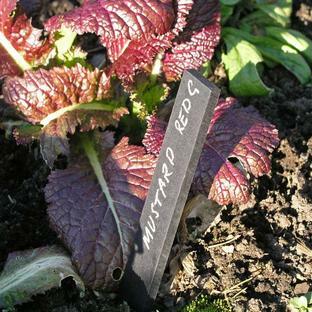 A cost effective, eco-alternative to slate house numbers. 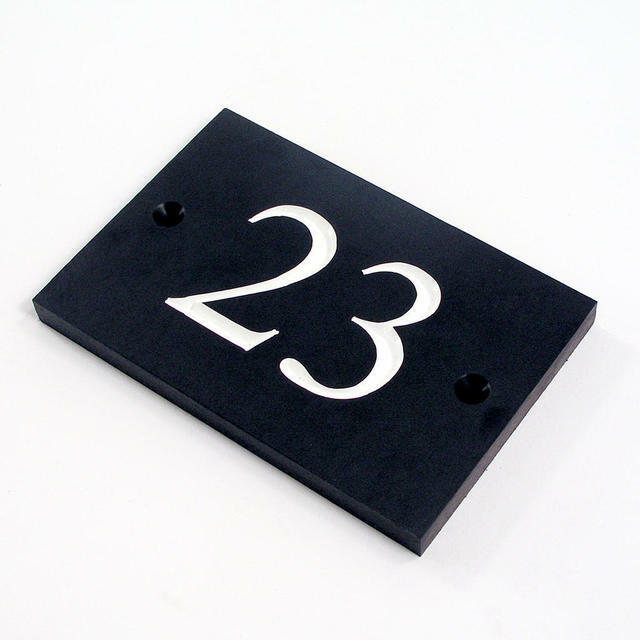 All our house numbers are engraved in one of a smart Times Roman font and are ink filled in white for maximum durability. 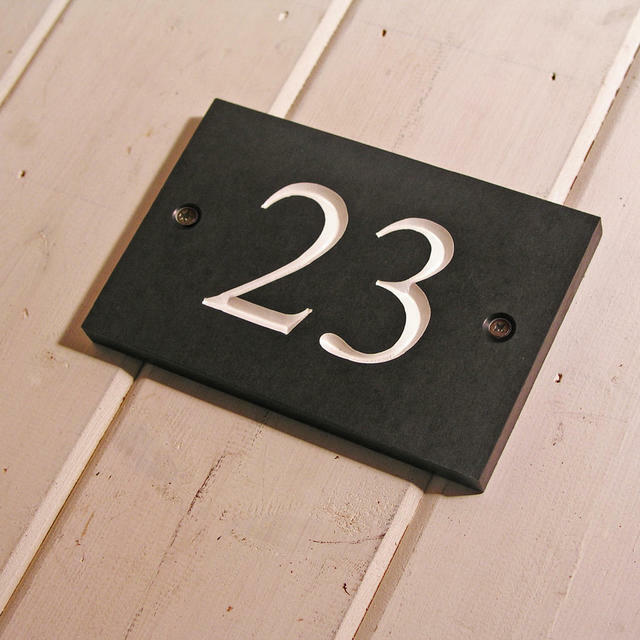 Recycled products not only save on landfill; one house number can equate to a bin liner full of material; but recycled material has around half the carbon footprint of virgin material, or as an alternative to slate doesn't degrade a diminishing resource. 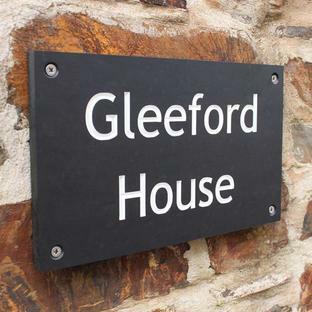 We also sell bespoke house numbers and house name signs which have a 7-10 day lead-time and are available in a choice of fonts and infill colours. The signs come with 2 screw holes at either side of the sign, screws not supplied.